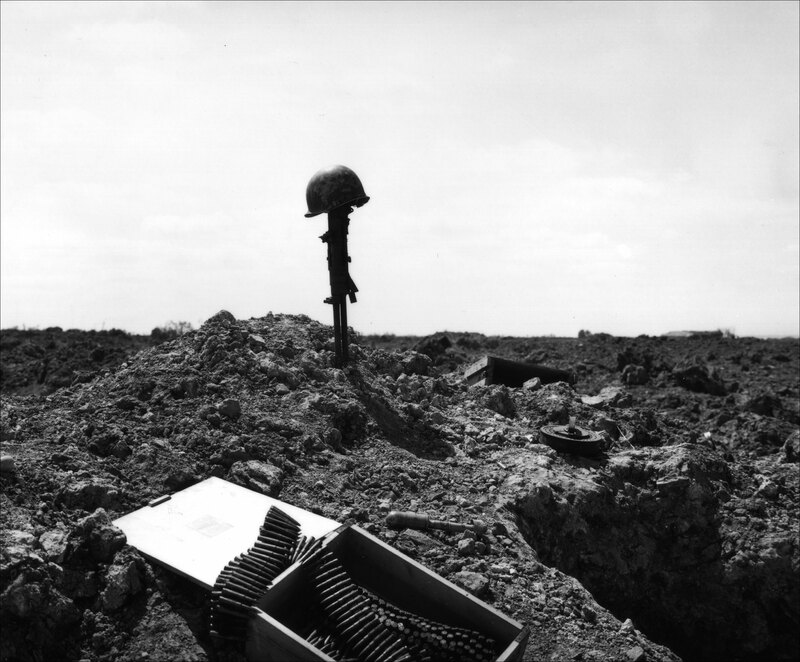 A US helmet sits atop a captured German machine gun, marking the location at Pointe du Hoc of fallen comrades, casualties of June 6. Although there is no “official” figure, Allied casualties on June 6 are estimated at 10,000. The number of Axis casualties is estimated between 4,000 and 9,000 men. 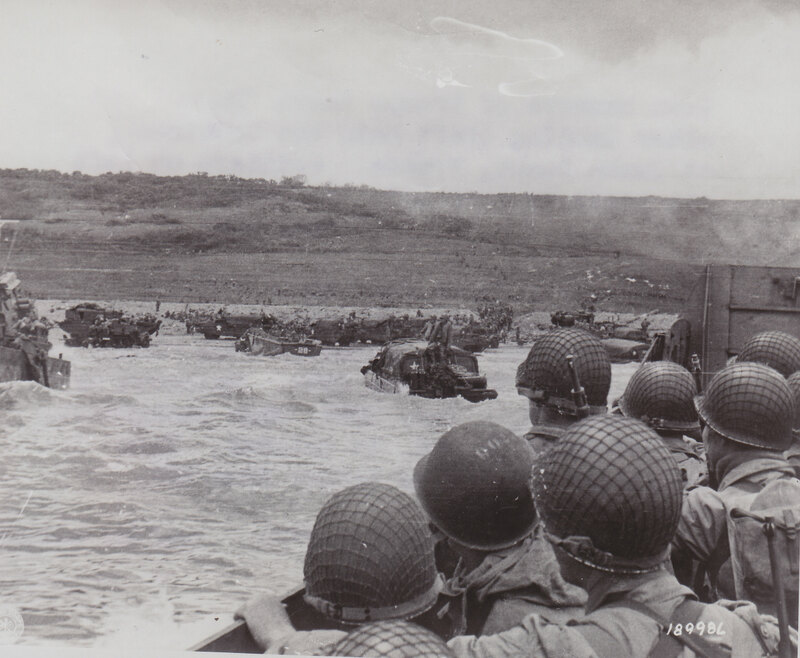 LCI 94, Omaha Beach, Normandy — A medical detachment from the 3rd Battalion, 116th Infantry Regiment, 29th Infantry Division lands at Dog Red, Omaha Beach. 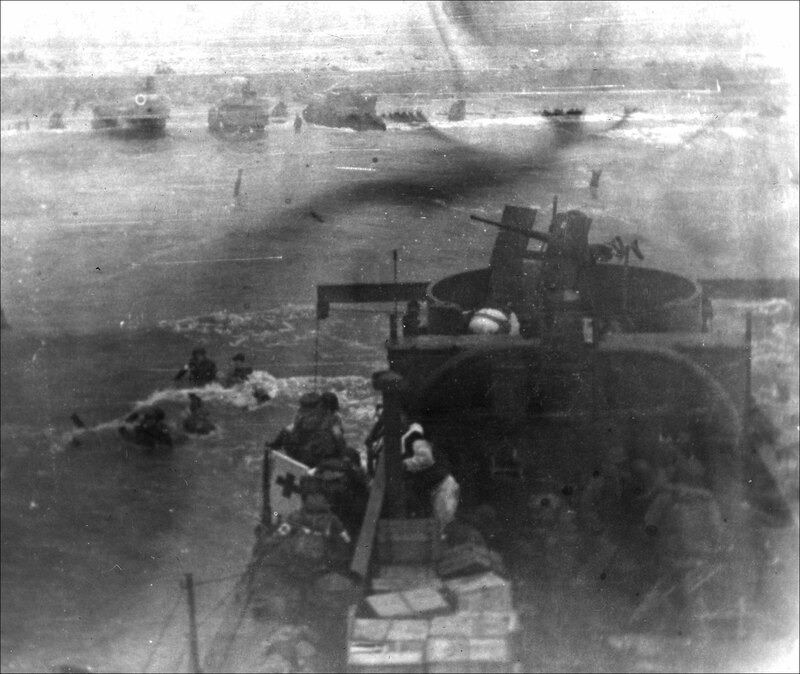 This never-before-published image captures some of the chaos of the early morning landings on June 6, 1944. 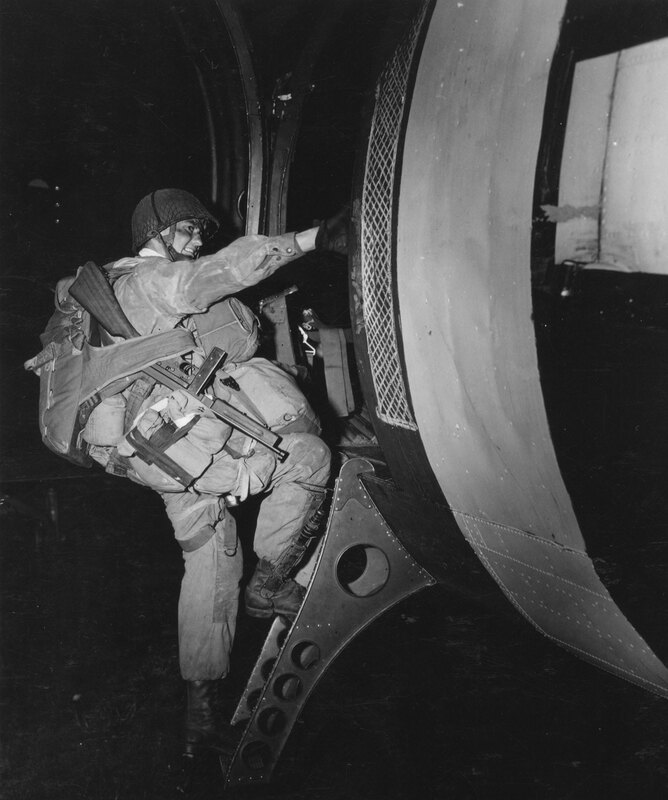 A heavily burdened paratrooper, armed with a Thompson M1 submachine gun, climbs into a transport plane bound for France. 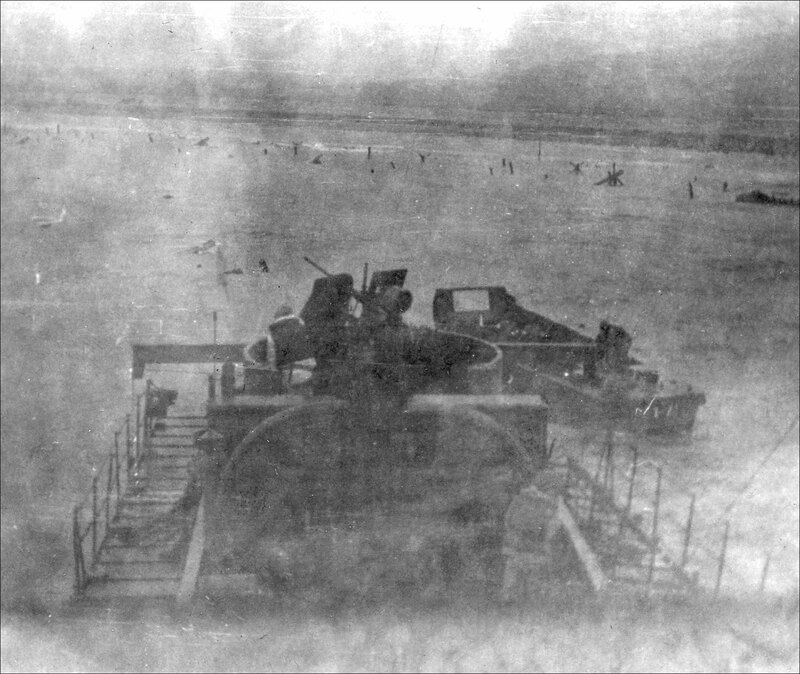 Tightly packed troops crouch inside their LCVP as it plows through a wave. In the distance is the coast of Normandy. 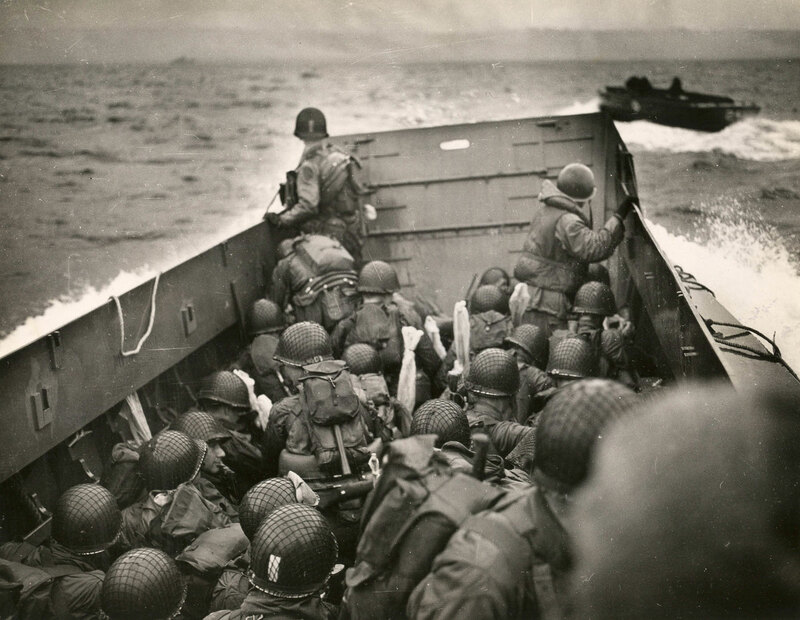 American GIs heading toward the shoreline of Omaha Beach around June 7, 1944. 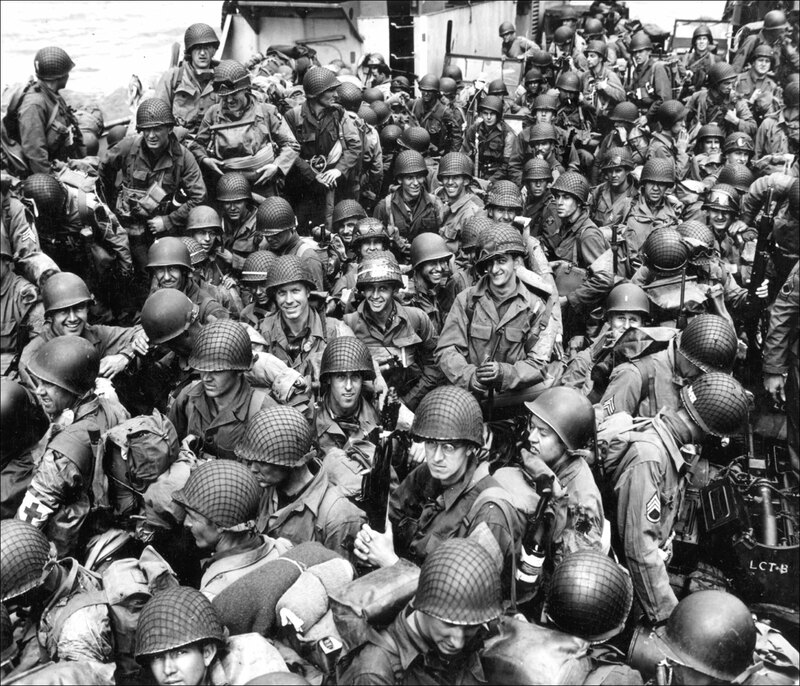 Members of the 101st Airborne Infantry Division and the 4th Infantry Division crowd aboard an LCT on the way to Utah Beach, June 6, 1944. 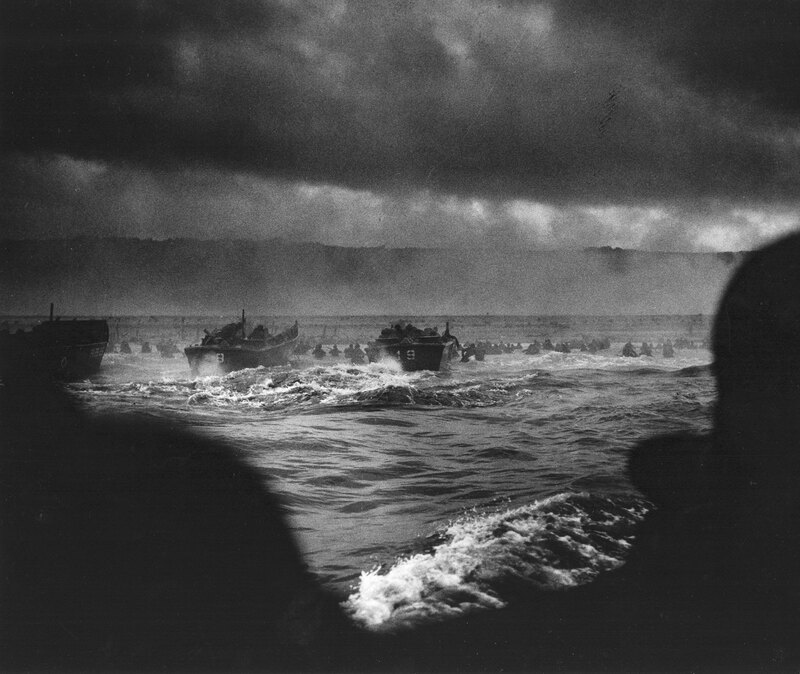 LCI 94, Omaha Beach, Normandy — Landing Craft, Infantry 94 noses onto the beach. It carried soldiers from the 3rd Battalion, 116th Infantry Regiment, 29th Infantry Division. Soldiers come ashore on an LCVP. Fighting has moved inland and the emphasis is on building resources on the beachhead. 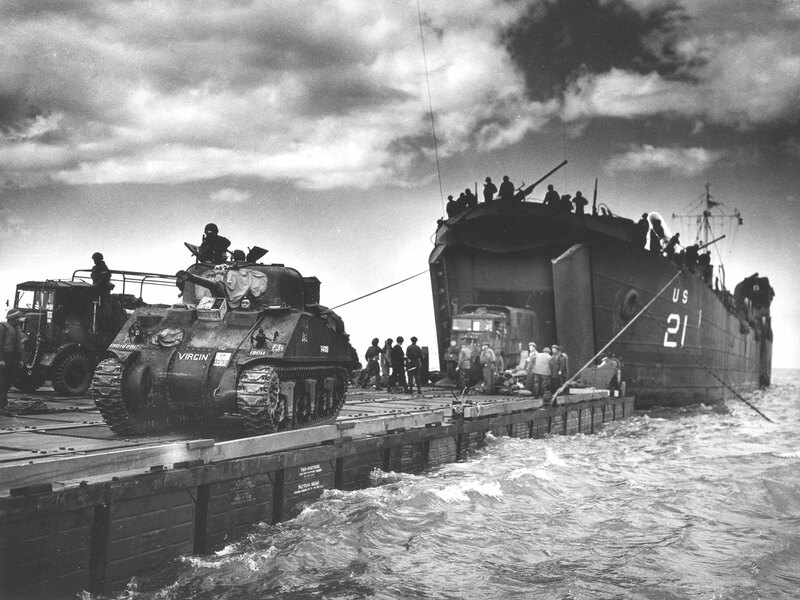 LCVPs (Landing Craft Vehicle, Personnel), or Higgins boats, head for Omaha Beach. Landing began at 6:30 am. Men can be seen wading ashore; their initial objective, the bluffs above the beach. 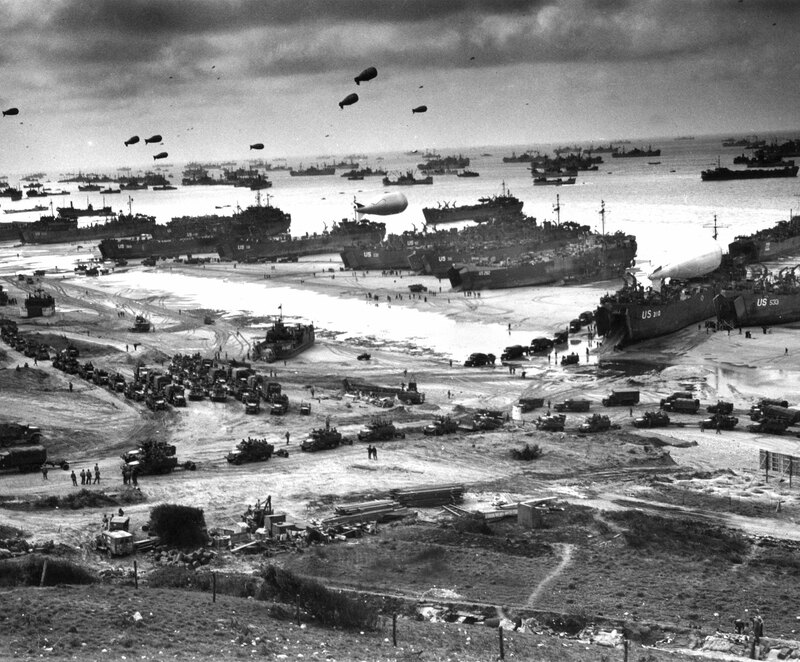 The Allied armada disgorges its cargo on Omaha beach. LSTs have beached themselves and are unloading vehicles as freighters stand further off and are unloaded by LVCPs and DUKWs. 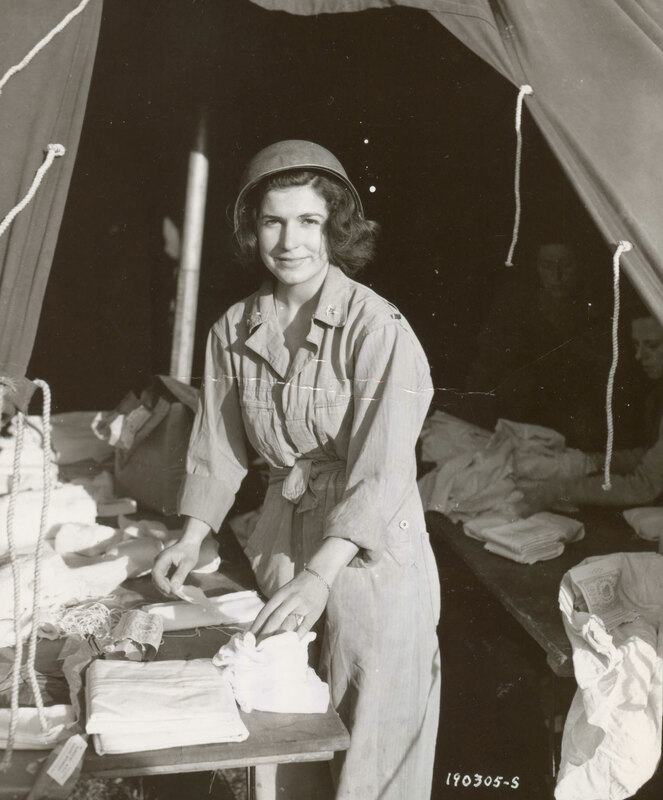 An Army nurse works in a field hospital. Nurses began landing on the Normandy beachhead four days after the initial invasion. The first to arrive were members of the 42nd and 45th Field Hospitals and the 91st and 128th Evacuation Hospitals. 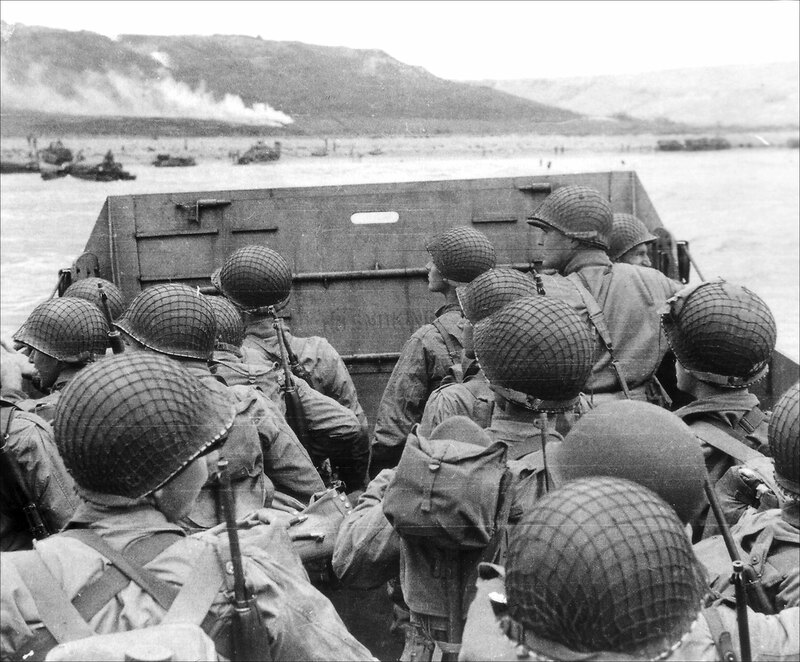 Assault troops approach Omaha Beach, June 6, 1944. 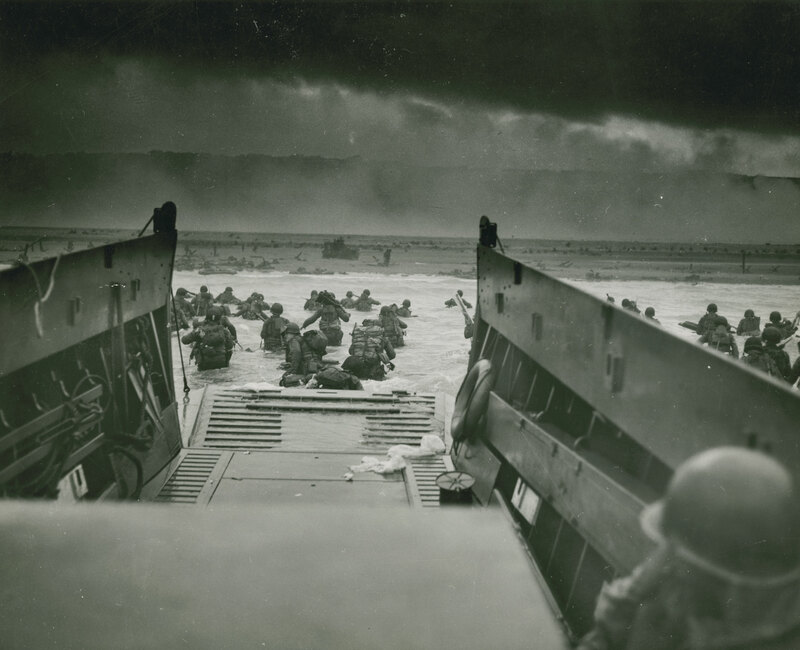 The original caption for this iconic US Coast Guard image reads "INTO THE JAWS OF DEATH — Down the ramp of a Coast Guard landing barge Yankee soldiers storm toward the beach-sweeping fire of Nazi defenders in the D-Day invasion of the French Coast. Troops ahead may be seen lying flay under the deadly machinegun resistance of the Germans. Soon the Nazis were driven back under the overwhelming invasion forces thrown in from Coast Guard and Navy amphibious craft." Without a deepwater port, constant supply and reinforcements were needed to break out of the beachhead. The solution was an artificial harbor built in England and brought to Normandy. Known by the codename “Mulberry,” two of these harbors were designed to unload men and supplies. Thousands of soldiers and sailors were involved in this effort. Spud barges that floated up and down with the tide formed the center of the harbor’s unloading activity. They were joined to the shore by floating roadways know as “Whales.” In addition to the floating roadways, special barges were constructed that could unload LSTs while afloat and bring vehicles directly to dry land. African American soldiers of the 320th Anti-Aircraft Barrage Balloon Battalion, 1st US Army prepare to deploy a barrage balloon on Utah Beach during the Normandy invasion. 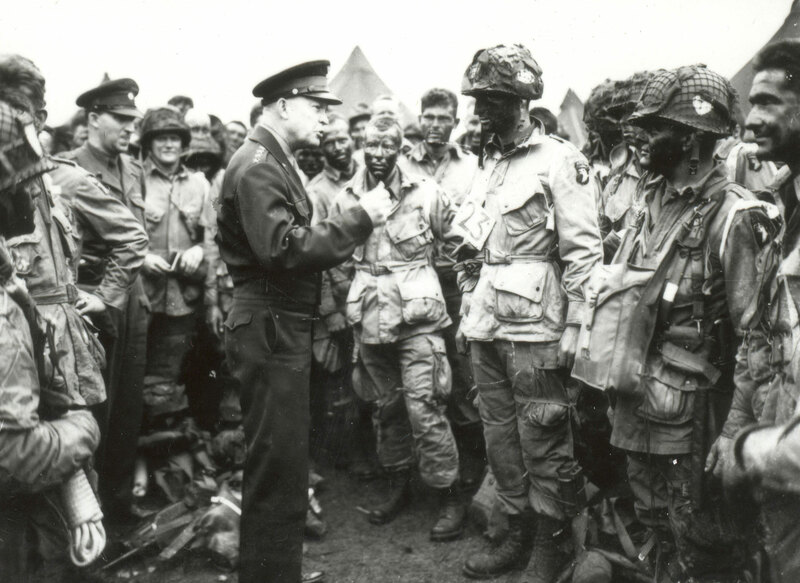 US forces were racially segregated until after World War II, and the 320th was one of several African American units that landed on D-Day. The barrage balloon could be moored to the ground or to a ship by a heavy mooring cable. 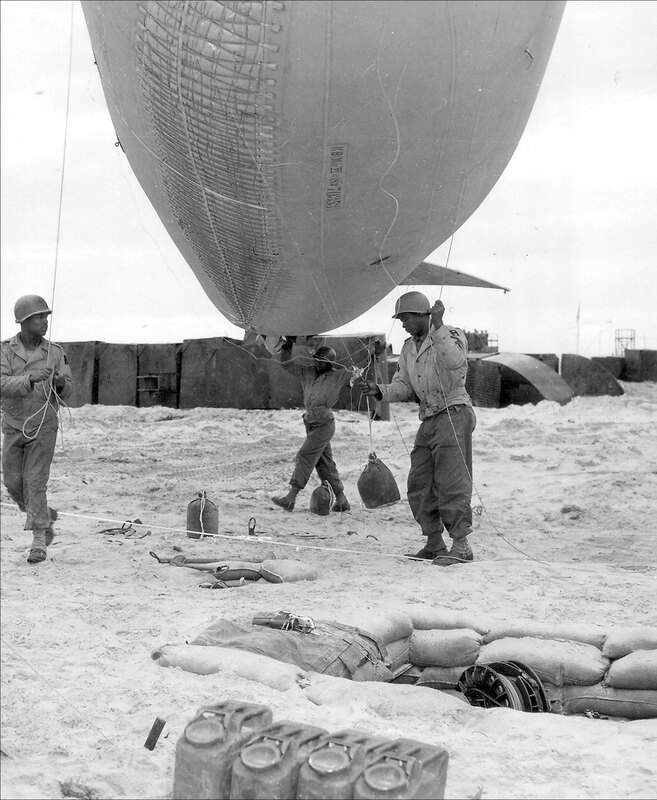 The combination of the heavy cable and the balloon was a simple yet effective means of preventing enemy aircraft from conducting strafing or dive-bombing attacks.